WE ARE A LOCALLY OWNED RETAIL PAINT STORE WHICH CARRIES PRIMARILY BENJAMIN MOORE AND PPG PAINTS. ADDITIONALLY WE CARRY A WIDE ARRAY OF COMPLIMENTARY SUNDRIES TO HELP WITH ALL OF YOUR PAINTING NEEDS. ALONG WITH A FULL LINE OF LACQUERS & STAINS BY LENMAR, MOHAWK, OLD MASTERS & MINWAX. ALSO WE HAVE RENTAL PRESSURE WASHERS & AIRLESS SPRAYERS. EPPES WAS STARTED IN 1959 AND STILL SERVICES TALLAHASSEE & THE SURROUNDING AREAS WITH GREAT CUSTOMER SERVICE & QUALITY PRODUCTS. 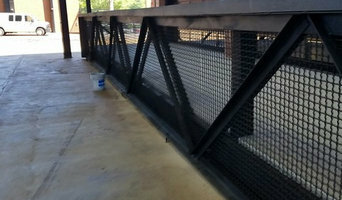 TLC Painting and Cleaning Services is located in Tallahassee, Florida. We have a highly-trained staff to handle interior/exterior painting needs and other services in both residential and commercial environments. We are licensed and insured with all general liability and workers compensation and provide excellent service and workmanship. If you need help from a reliable painting contractor, get in touch with Mike Martin Painting. 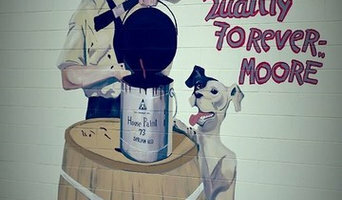 We have some of the most knowledgeable and skilled painters and wallpaper hangers in Tallahassee, FL. With us, you can rest assured that your home or office will have highly durable, beautiful walls. A locally owned and operated business, Tyre Custom Painting LLC offers a variety of painting, pressure washing and handyman services ranging from interior and exterior painting to home repairs. The company is located in Tallahassee, FL and is available from Monday to Saturday (after business hours by appointment only). Williams Painting. Quality painting you can count on. Paint and wall covering contractors are experts in the specs, application and removal of paint, wallpaper and other wall coverings. They can help you choose the paint color and finish, wallpaper style or specialty covering that best suits the needs of your Tallahassee, FL home, whether the job is for the interior or exterior. In addition, they can strip off old paint or paper and prepare surfaces through sanding, skim coating and other processes. Many can handle decorative paint treatments and materials such as plaster. A paint and wall covering contractor might work closely with Tallahassee, FL interior designers, builders and others, too. Here are some related professionals and vendors to complement the work of paint & wall covering dealers: Interior Designers & Decorators, Artists & Artisans, Window Treatments, Carpet Dealers. Find a paint and wall covering contractor on Houzz. 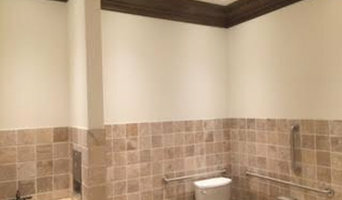 Narrow your search in the Professionals section of the website to Tallahassee, FL paint and wall coverings. You can also look through Tallahassee, FL photos to find examples of paint jobs and wall coverings that you like, then contact the professional who worked on them.